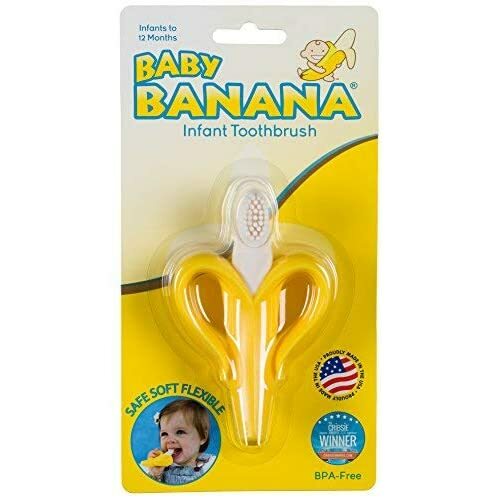 Develops good oral hygiene habits from the earliest possible age. 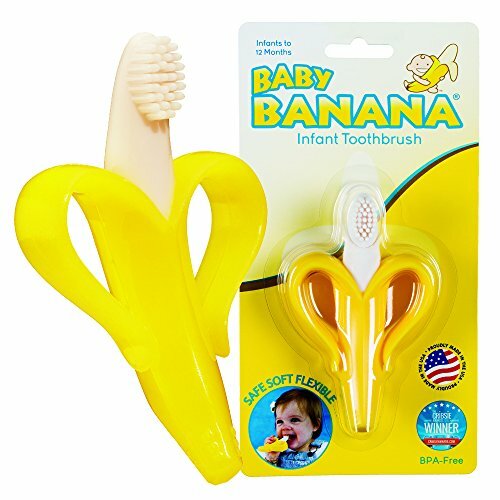 The Baby Banana Infant Toothbrush gently massages little teeth and gums with soft silicone bristles, which helps develop good oral hygiene habits early. 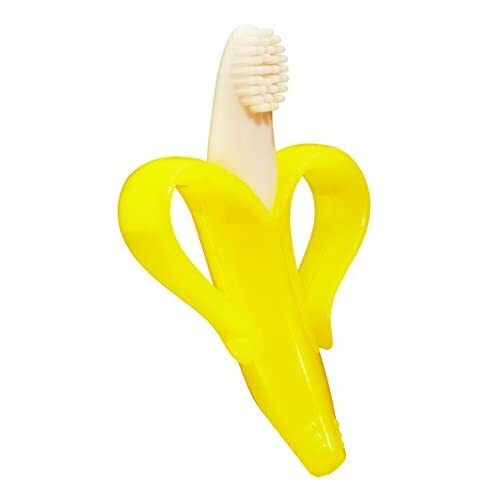 It has easy-to-grasp banana peel handles and is made of 100% flexible silicone to prevent mouth injuries.